I watched the film twice at the cinema, read the novelization, and then sat back and waited for it to drop into my bluray player. I enjoyed the film immensely on the big screen, and found that hasn't diminished at all watching it again at home. Sure this is a modern block-buster, with some emphasis on visual spectacle, unrelenting pace and action, and yes there are a few things that drive a nit-picking trekkie insane. This wouldn't be the first time Star Trek has played fast and loose with the speed of the plot warp factors though, and in the grand scheme of things I don't find such issues detract that much from what is overall a good film. Plus for every decision I'm not so enthusiastic about, there are those I think are inspired creative choices. The use of the National Ignition Facility as the warp core for instance, is brilliant; never has Trek tech felt so real, complex, or powerful. I think the nuTrek cast are also brilliant, and in particular Benedict Cumberbatch has made Khan something far more menacing and chilling than the character's previous outings. 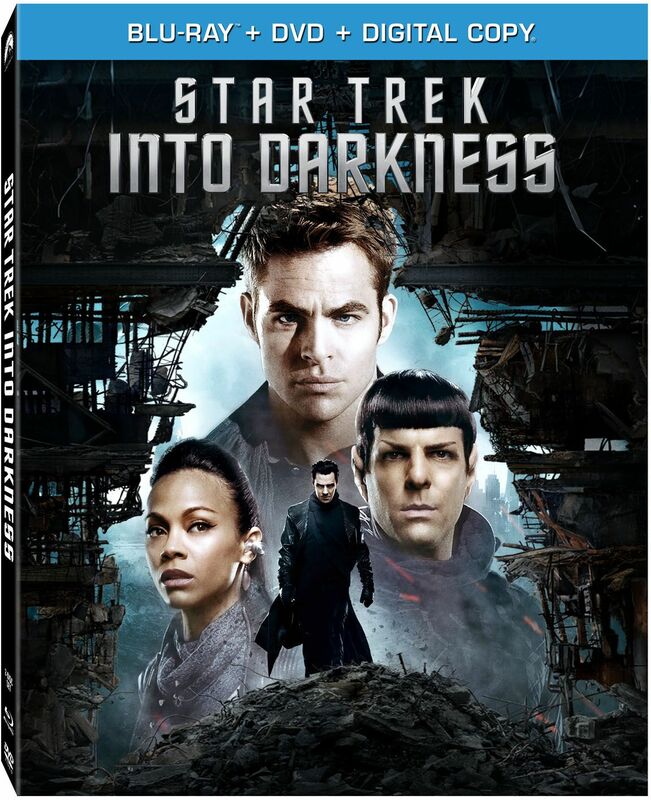 With a title like Into Darkness one might have expected this film to be casting a shadow over the optimistic future of the Star Trek universe. But if you feel this film tarnishes said future, I think you're kind of missing the point. The darkness of Marcus and Section 31's readiness for war is what the whole film is showing us the Star Trek world opposes. Overtly through Scotty's reaction to events, and more subtly through Kirk's journey from seduction into vengeance, to ultimately allying with Khan to resist the true source of darkness in the film, we are shown how the heroes of the Federation feel about such paranoid politics of fear. Which is of course what makes the film all the more interesting and relevant to today, with allusions to interventionism, drone warfare, terrorism, and the dangers of fear driving our politics. At the end of this film we are left, again, with the crew set up to go and explore strange new worlds. While I did enjoy this outing, I hope that promise is fulfilled through more than the opening scenes in the next instalment. I also hope the next film continues to tackle the issues of today, but I hope we can shift to other problems in our world, maybe a strong environmental theme? Into Darkness did leave some big obvious open doors for continuation. Do we want to see a Klingon war? If we get that I certainly hope it's more interesting than just a lot of battles. While I'm hoping for more of an exploration theme next time around, I certainly wouldn't be upset if Khan-berbatch found himself defrosted once more too; it would seem almost a waste not to have more of such an amazing performance. 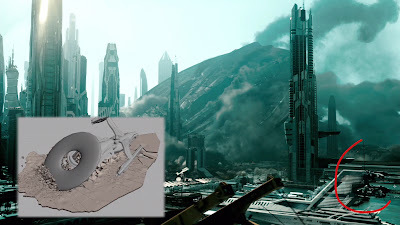 Attack on Starfleet – Breaking down the Starfleet Headquarters attack sequence. The Klingon Home World – Discussing the design and production of Qo'noS and the nuKlingons. The Enemy of My Enemy – Looking at Khan. Ship to Ship – Showing how the space jump sequence was achieved. Brawl by the Bay – Looking at the Spock/Khan chase/fight sequence. I found all of these features well paced, insightful, and interesting. I was particularly impressed, amazed even, at how much was achieved through practical effects and in-camera tricks. I could gladly of watched a lot more of these, exploring other aspects of the film. And that's the annoying thing. Because there is indeed another hour of this material. For US fans, if you want to enjoy it all, you need to buy two different retailer exclusive versions of the film, while if you're in the UK, or other parts of the world, you don't even have the option to get it all. Down With the Ship - A look at the gravity defying effects in the Enterprise crashing sequence. Unlocking the Cut - A feature on the editing in the film. The Sound of Music (and FX) - A feature on the sound effects and music in the film. Aliens Encountered - A look at the alien designs, make-up, and prosthetics. NIF: Home of the Core - Taking us behind the scenes of the new warp core. Safety First - Recounting the amusing "neutron cream" prank at NIF. The Voyage Begins... Again - Looking at the build up to production of the film. Mr. Spock and Mr. Spock - A feature of Leonard Nimoy's work on the film. Rebuilding the Enterprise - A tour of the Enterprise sets. Vengeance is Coming - Feature on the USS Vengeance. Visual Affection - A look at some of the visual effects. 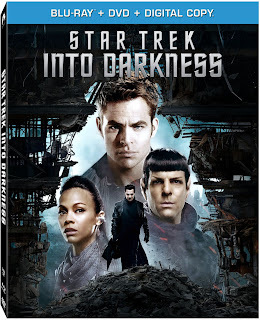 Kirk and Spock - Interviews with Zachary Quinto and Chris Pine on their work. There is one other extra feature on offer, and that's the commentary. You won't find it on the disc though, it's exclusive to the iTunes download version. The silver lining here is that it is at least available to everyone, as all copies of the film come with a digital download, including the option to redeem it via iTunes. I had to download and setup an iTunes account to do this, and then wait for the film to download (while I sit there staring at the useless content deprived disc I own in the flesh I guess). This feature isn't advertised on the packaging at all either, if you didn't happen to find out this feature existed, or didn't happen to bother to use your digital copy, you would never know you had an option to watch an audio commentary. Distribution methods aside, the commentary is quite interesting: Several different contributors covering various aspects of the film's production take on different segments of the film (not all of the film, but most of it has a commentary). It's more than an audio commentary as well; footage is paused, slowed down and rewound, as the contributors talk at greater length, and literally point things out with onscreen markings and inset video. Notably this version of the film is also presented in IMAX format when scenes were shot in that way (neither the bluray or iTunes download of the film without commentary offer this). Again it is infuriating this isn't included on the disc. You've got to be either reasonably resourceful or just lucky to even realise this is available to you once you've bought a physical copy. Plus it's maddening that access to this requires you to sign up to a service that isn't guaranteed forever, unlike the content held on the discs, which is yours to own and watch for as long as you decide to keep it. The film looks and sounds great, and the extra features on the disc are interesting. But Paramount have been thoughtless idiots in the way they have distributed the remaining extras here. Even if you were willing to buy multiple copies, you really have to have gone out of your way to research what you need to get to enjoy the full experience. Meanwhile Paramount seem to have forgotten the extreme brand loyalty us trekkies have; if they had wanted to take advantage of us, they should have just offered everything on a "collector's edition" with an extra special features disc, and bam: We would have got the full suite of extras we want to watch, and Paramount would have sold loads of a premium product. It's one big missed opportunity and insult to the fandom. I think it's even worse than that though. Even if all the existing content was offered together, where's the rest? We know there are deleted scenes, they aren't offered. We know there were multiple localised versions of some of the music in the film (including several different music videos), no feature on that? We know significant chunks of the film were shot in IMAX format, why don't we have the option to watch that? (Ideally with seamless branching for those who would prefer a consistent widescreen presentation from the same disc) The three disc version of the 2009 film also offered a gag reel, and gave us a better look at the new ships with an interactive tour feature - Given the popularity of any article that mentions the Vengeance on The Trek Collective, I know a similar feature would have been appreciated for this film's new ship. PS. 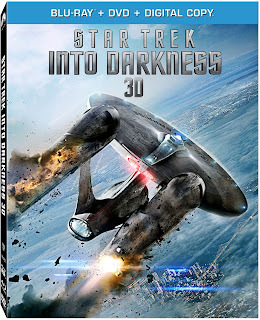 For complete coverage of every aspect of Into Darkness, including details of a whole load of behind-the-scenes information you wont find on any of the bluray releases, check out my Into Darkness guide page.